Ray Wu pioneered the first primer-extension method for DNA sequencing which laid the foundation for the Human Genome Project. He was also instrumental in the application of genetic engineering to agricultural plants to improve their output and resistance to pests, salt and drought. Ray Wu was born in Beijing in China. He was one five children, two boys and three daughters. His father, Hsien, was born in Fujian, China, and studied first naval architecture and then chemistry with biology at Massachusetts Institute of Technology. Following graduation, Hsien did a doctorate under Otto Folin at Harvard Medical School during which time he devised one of the first clinically useful methods for determining blood sugar. From 1920 to 1942 Hsien headed up the Department of Biochemistry at Peking Union Medical College (PUMC) and investigated the denaturation of proteins and antigen labelling of proteins in the presence of antigens. Wu's mother, Daisy, was born in Shanghai and studied first at Gin Ling university and then at Smith College in Boston. She then took a Masters degree in food chemistry and nutrition at Columbia University. In 1923 Daisy met Hsien when she joined the same department at PUMC. Wu's parents married in 1924 and pursued research together, helping to demonstrate the importance of proteins for growth. In 1929 they published the first Chinese book on nutrition. Hsien and Daisy regularly hosted scientific social gatherings in their family home. Both Wu and his siblings each had their own 'ama' or nanny and they were required to learn English, piano, typing and ballroom dancing. In his adolescence Wu participated in baseball, music and singing and regularly attended a religious youth group. In 1942 Wu's parents were forced to leave PUMC when the Japanese took over the university. The family experienced further upheaval in 1948 as a result of the Chinese Revolution, which led to them departing from Beijing for Berkeley, California. A year later, the family relocated to Birmingham, Alabama, where Wu's father was appointed the acting chair for the Department of Biochemistry at the Medical College of the University of Alabama. 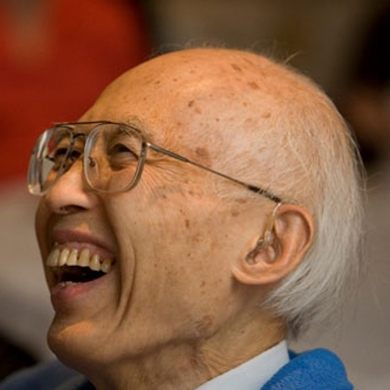 It was while observing his father that Wu developed his interest in biochemistry, In 1955 Wu was introduced to Christina Chan, a student at Barnard College and they married in 1956. They had two children Albert (1957) and Alice (1959). Wu gained US citizenship in 1961. Wu first attended Yenching University in Beijing, but his studies were interrupted by the Chinese Revolution when he was 20 years old. Following this, Wu enrolled at the University of Alabama. Despite having taken English lessons as a child, Wu initially found studying in America difficult. Not only did he find that he read more slowly compared to native English speakers but he did not always grasp everything that was said in lectures. This meant he had to work much harder than his peers. He completed his degree in chemistry in 1950. After graduating Wu did a doctorate in biochemistry under the supervision of David Wright Wilson at the University of Pennsylvania which he finished in 1955. His doctoral research investigated the mechanism of pyrimidine biosynthesis. Wu's first position was at the Public Health Research Institute in New York City where he worked as the Damon Runyon Postdoctoral research fellow under the direction of the Austrian enzymologist Efriam Racker from 1955. During this time he focused his research on the glycolysis pathways of cancer and normal cells. By 1960 Wu was conducting own research projects independently on glycolysis regularion in mammals but was beginning to realise that it would be difficult to make a name for himself in the crowded cancer field. In the summer of 1965 Racker moved to Cornell University to head up the biochemistry department and Wu joined him as an assistant professor. Encouraged by Racker, Wu began looking for a field that would differentiate him from his mentor. Based on this he decided to undertake some training in genetics to supplement his enzymology and phsiological chemistry expertise. To this end, between 1965 and 1966, Wu spent a sabbatical year at Stanford University working with Dale Kaiser learning about bacteriophages which he realised would be faster to analyse genetically because they had a less complex structure than mammals. Inspired by Robert Holley's work on sequencing RNA, Fred Sanger's work on protein sequence analysis, and Alfred Hershey and Martha Chase's experiments on lambda phage, Wu turned his attention to devising a method for sequencing the DNA in lambda phage. The advantage of the lambda phage was that its cohesive ends contained approximated 10 to 15 nucleotides. By 1966 Wu had succeeded in his quest and this formed the basis of more experiments which laid the foundation for the paper he published in 1970 which outlined how his approach might be used for more generally sequencing a DNA molecule. In 1971 Wu took a six-month sabbatical, supported by the National Science Foundation, at the Laboratory of Molecular Biology in Cambridge, England, working alongside Francis Crick, Fred Sanger and Max Perutz. The following year he was promoted to become professor of molecular biology and genetics at Cornell University. From the 1980s Wu focused his attention on applying the use of genetic engineering to develop crops that could withstand drought, salt and disease. He saw the genetic modification of plants as a means to relieve the problem of world hunger. His work was supported by the Rockefeller Foundation. In addition to his position at Cornell, Wu served as director of the Institute of Molecular Biology of Academia Sinica in Taipei, Taiwan, and as an honorary and adjunct professor at Peking University. He also helped found the China-United States Biochemistry and Molecular Biology Examination and Application programme which facilitated the graduate training of over 400 Chinese students in the United States, many of whom went on to take positions in major universities and industry. Wu was also a scientific advisor to the Taiwanese and Chinese governments. Wu is most well known for his development of the first method for sequencing DNA and tools for DNA cloning, which he published in 1970. Known as the primier extension approach, Wu's work laid the foundation for the development of today's DNA sequencing technique. This DNA sequencing method is a fundamental research tool in medicine, agriculture and science. The Human Genome Project, for example, could not have been carried out without it. Wu is also internationally acclaimed for the genetic engineering tools he devised to modify rice and other crops to increase their yields and enable them to withstand damage from pests and exposure to drought and salt. He demonstrated that inserting potato genes into rice plants encouraged their production of proteins that interfere with the digestive process of insects thereby reducing the damage of the pests and that the introduction of genes from barley and sugar into rice plants induced the production of a protein that gave them greater resistance to saline and dry conditions. Wu was awarded the Frank Annunzio Award in Science and Technology in 2002 and in the following year he was elected a fellow of the American Academy for the Advancement of Science and a fellow in the Chinese Academy of Engineering.